Welcome to Season 3! We had the honor and immense pleasure of talking with adrienne maree brown, author of the brand new New York Times bestselling book, Pleasure Activism. adrienne also wrote Emergent Strategy and co-edited Octavia's Brood. Included in her many powerful and revolutionary pursuits are social justice facilitations with an emphasis on black liberation, growing her brilliant Emergent Strategy Ideation Institute, doula work, and ridiculously dope auntie-ing. Enjoy adrienne's words in this episode where she takes us on a ride of imagination, pleasure, beautiful revelation, and more! 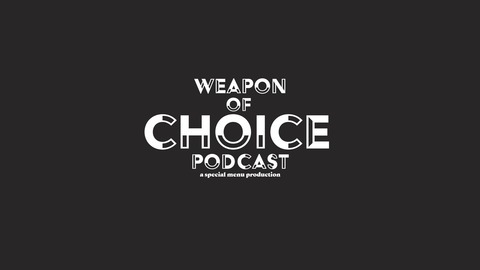 Follow Adrienne on Instagram: [at]adriennemareebrown Support our show with any dollar amount monthly to keep us going by becoming a Weapon of Choice Member at this link: www.patreon.com/weaponofchoicepodcast One-time contributions can be made here: www.paypal.me/weaponofchoicepod Please rate and review Weapon of Choice Podcast on Apple Podcasts/iTunes! 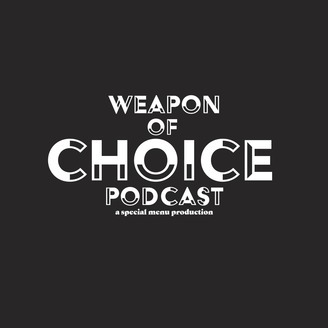 Follow us on social media here: Facebook: Weapon of Choice Podcast Instagram: [at]weaponofchoicepodcast Twitter: [at]weaponchoicepod Email us: weaponofchoicefans@gmail.com Weapon of Choice theme song by Renée Copeland Brought to you by Special Menu Productions THANK YOU!